Known as the Old Abbey or the Hospital of St. Mary d’Urso, the correct title for this site is the Abbey of St. Mary d’Urso. It was founded by a Norman, Ursus de Swemele and his wife as a hospital for the sick and infirm, about 1206 A.D. 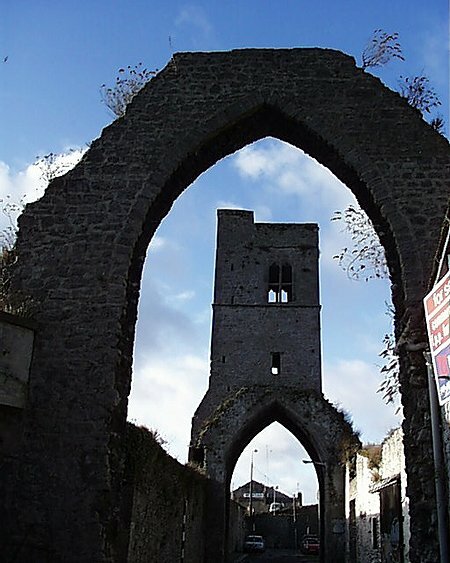 In 1330 the flood of the Boyne did considerable damage to the monastery. The building was restored mainly thanks to the generosity of the Brandon family. In 1349 the Prior was given a royal grant of privileges. It was later taken in charge by the Augustinian or Crutched Friars by the end of the 13th Century. The Observantine Friars reformed this monastery in 1519. 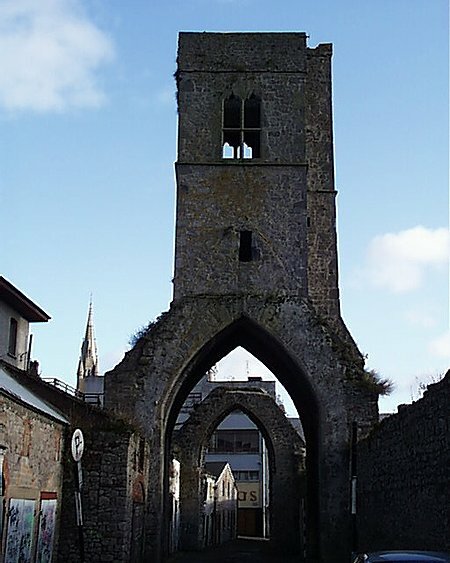 After its dissolution, following a brief interval, the Corporation of Drogheda owned the lands by 1557. 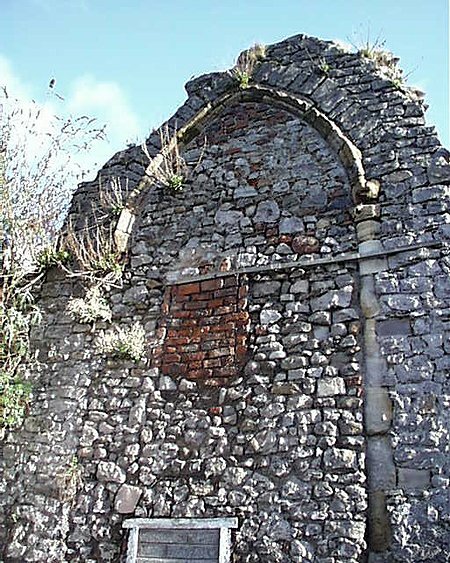 The Abbey was finally surrendered in 1543 by the last Prior, Richard Malone, to the Corporation, who proceeded to dispose of the monastic properties by lease. 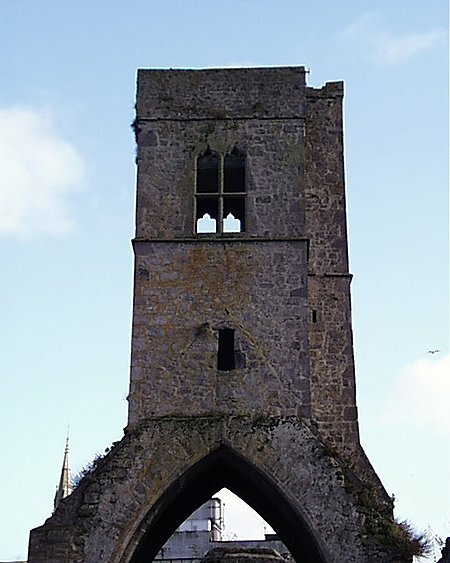 All that remains of the Abbey is the central belfry tower, surmounting a Gothic archway, with another fragment supported on a similar arch to the east, and a gable wall to the west.